Due to one of my weekly volunteer activities, I've always walked up Chinatown and passed Rice Workshop. As I'd been curious about it for a long time, I went to try it out this week. Rice Workshop is probably best described as quick-eat Japanese restaurant with a self-serve component; you select a dish, it gets served to you, then you pick out the sides you want to eat it with. On my first visit, I tried the Ontama beef with a side of potato salad. The potato salad was pretty much mashed potato with little vegetable pieces in it. It was quite Japanese styled - slightly more tart and less creamy than traditional mash. I felt pretty neutral about it - it wasn't bad, but it wasn't the best mash I'd ever had. The Ontama Beef bowl, on the otherhand was good value for money and quite tasty too. The beef was thinly-sliced and served with a delicious sauce. There was also a perfect little soft boiled egg with the dish (the Malaysian in me really enjoys a good soft boiled egg), which added a nice runny yolk to the rice. On my next visit, I tried the Chicken Karaage with spicey mayo. The fried chicken was crispy and the mayo, a tart and spicey affair. I enjoyed it, but not as much as I enjoyed the Chicken Karaage at Shuyun. I also tried the desserts...the tiramisu mochi and the green tea soft serve ice-cream. The mochi was devoured before I remembered to take a photo, but it didn't have too much going for it. The bean paste filling was nice and creamy, but the mochi shell was hard and stale - rather disappointing given that mochi is pretty much the softest dessert you can get! I did, however, like the green tea soft serve...for $2, you can get a generous hit of matcha. A nice little dessert for the end of summer. In conclusion, Rice Workshop is a great place for you to eat if you're on the run - it's cheap and easy with a comfortable space to dine in...it's also pretty central in the CBD (right at the start of Chinatown from Swanston Street), so you won't have a hard time finding it. Service is pretty quick and quite friendly (the waitress even told me that she liked my t-shirt). In terms of food, I'd recommend the Ontama beef and the green tea ice-cream, but not the mochi (even though I liked the filling. No one should have to eat hard mochi). All in all, the meals were filling and pleasant. Is it worth visiting? Yes, if you're in search of a quick bite or a casual, Asian eatery. 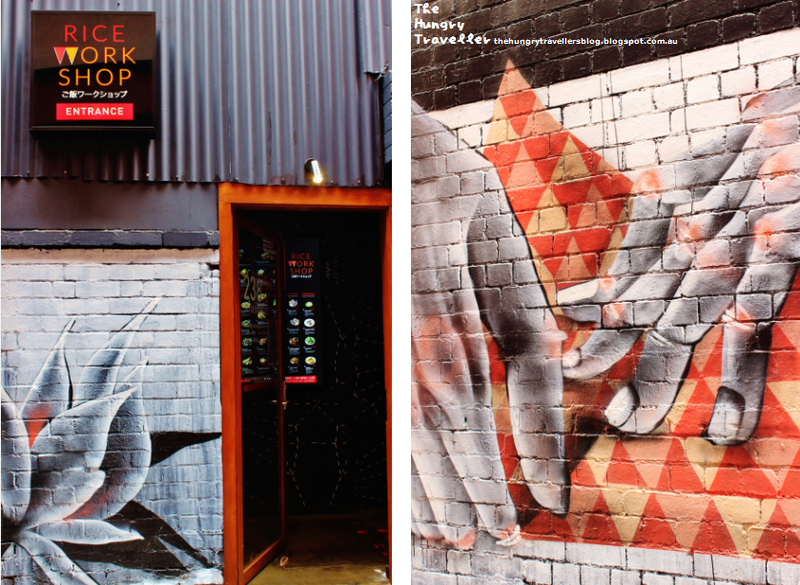 Great photos, sounds like it's definitely worth checking out. 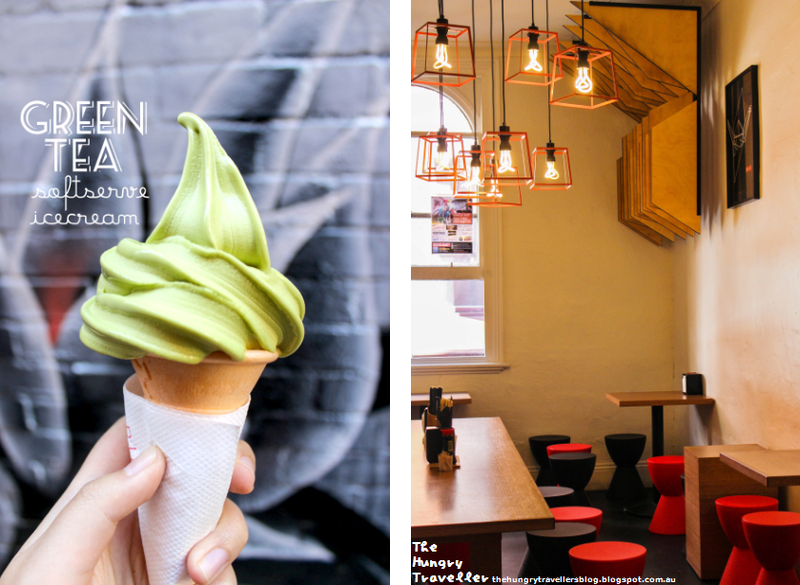 That green tea soft serve looks delicious! Thank you for visiting us. We appreciate your feedback as it helps us become better for our lovely customers (such as yourself). We are very sorry to hear that your mochi wasn't as good as it should have been. You are absolutely right - no one should have to eat hard Mochi! We will pass it onto management and ensure that it gets fixed. Thanks for reading! Rice workshop is a great place to visit and I'm glad to hear that they'll continue to improve their menu. It's nice to hear that Rice Workshop and Shyun share a connection, though from previous experiences with other chefs/ restaurants, I know that sometimes a shared chef doesn't always mean an equal rating (perception of quality) will occur - sometimes it's just the way dishes are combined (e.g. more/ less flavouring) or the elaborative work put into creating a particular dish that creates a preference or a liking with customers. I also think Shyun may hold a dear place in my heart as I spent a lot of time there as an undergraduate student and I really enjoy the combinations offered. Nonethless, I enjoyed Rice Workshop and recommend it highly to anyone who is craving some delicious Ontama beef or green tea ice-cream.